Earlier this month, Chris and I had the opportunity for a getaway, just the two of us. This trip was actually planned a few years ago as our tenth anniversary trip, but you know how it goes… life happens and time and money run out. A few and a half more years of marriage later, we were finally able to get away, and decided we’d try out a US city we’d never been to. Seattle has always been a city that has called to my heart for some reason, and we decided it would be a perfect city destination for us. We booked our flights, leaving on Thursday and returning home on Monday so that we had three full days to explore. 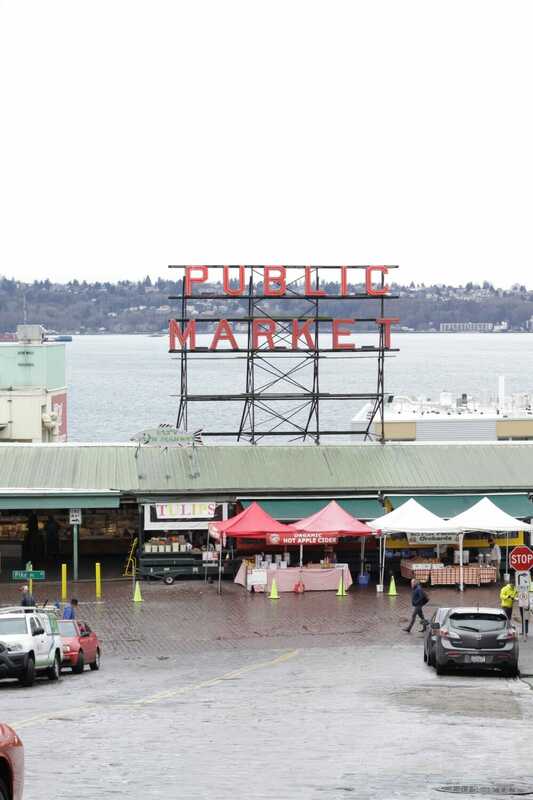 We absolutely loved this part of the country and today I am going to share my experience at one of my now favorite US destinations: Seattle. 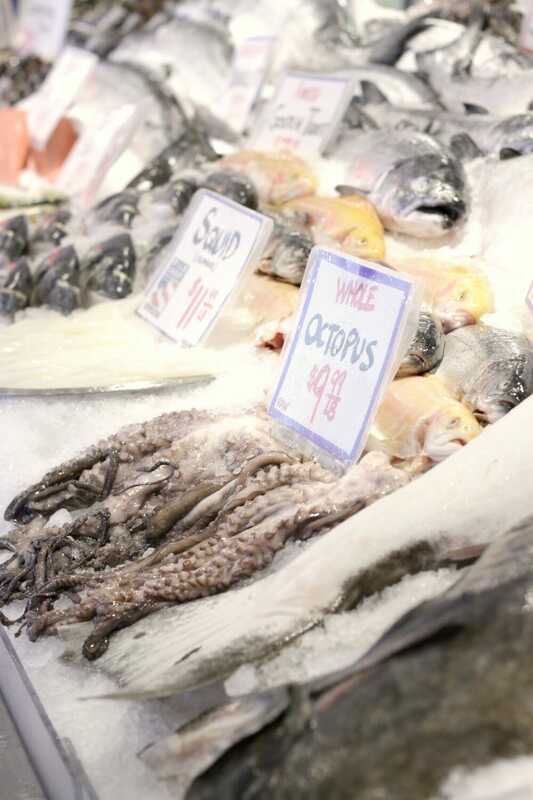 Pike Place Market: Pike Place Market is one of the quintessential Seattle attractions. 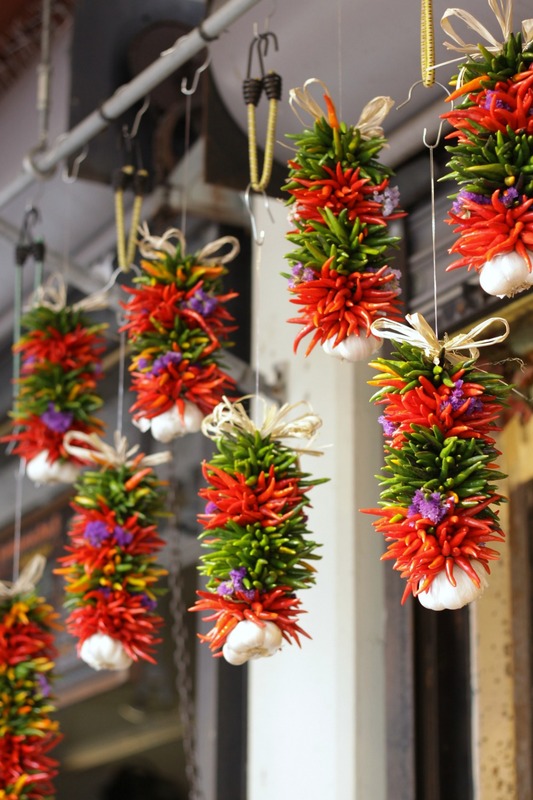 It’s an overgrown farmer’s market featuring fresh meats and seafood, fresh and dried florals, handmade goods, restaurants, and more. Chris and I headed there Friday morning and enjoyed strolling around and taking in all of the sights. I was able to purchase a couple of gifts as well as some fabulous switch plates for our pink bathroom; we also took home a jar of homemade tayberry jam which I’ll be using in my yogurt. 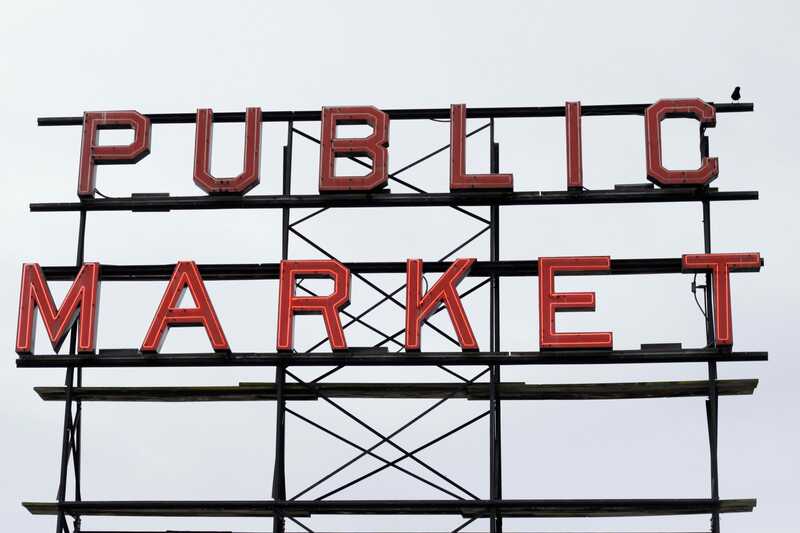 The signs alone at Pike Place are beautiful and photo worthy. 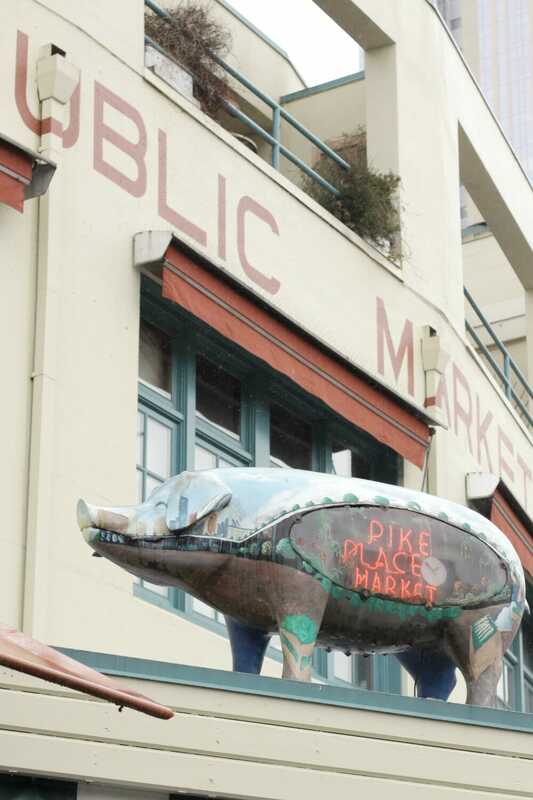 If I lived in Seattle, I think I would be a Pike Place frequent flier… so many wonderful treats for the eyes and mouth. These beautiful dangling peppers caught my eye and looked so fresh and colorful against the gray sky. By the time we arrived, we’d already had breakfast but we were regretting it when we saw the bountiful pastries being freshly baked in the small local bakery windows. 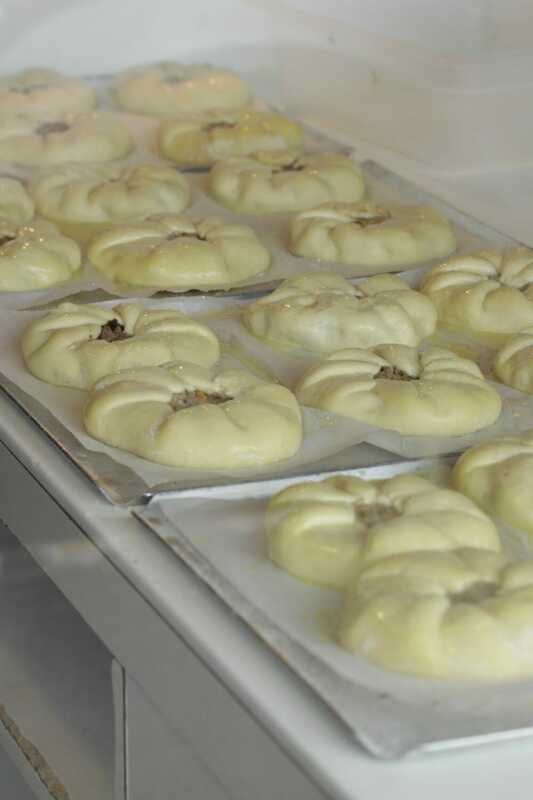 There was also a little bakery that was dedicated to my favorite spice…. Cinnamon Works. Walking by that shop was heavenly. I am a seafood lover, and the fresh fish was enticing; although I can’t eat it if the eyes are still attached, looking at me. Fillet mine, please! 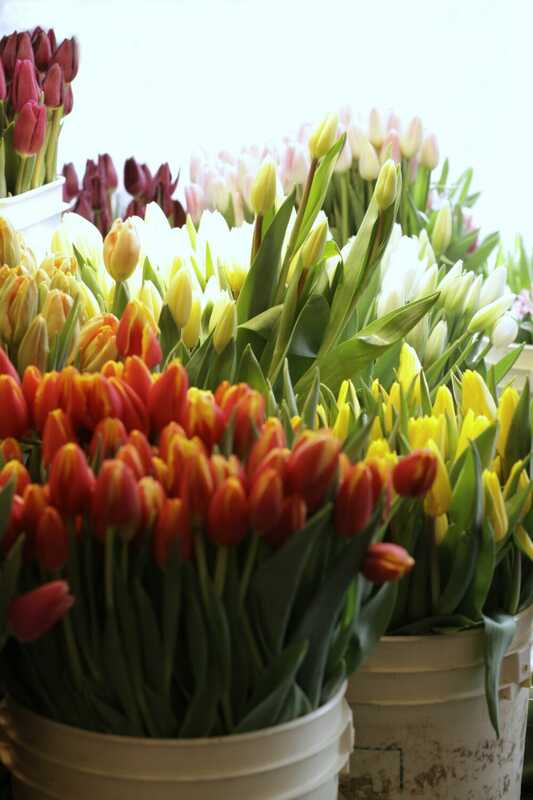 The fresh tulips in buckets were eye catching and came in a beautiful array of color. 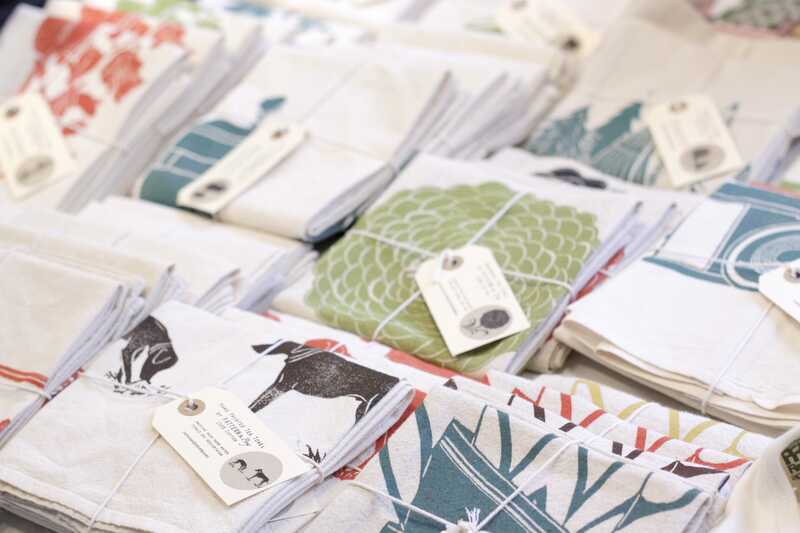 These simple handpainted kitchen towels from Pattern & Posy caught my eye. I love the pine tree design you can see in the background. Another pig sits atop a roof and lights up. These guys were quirky and fun! 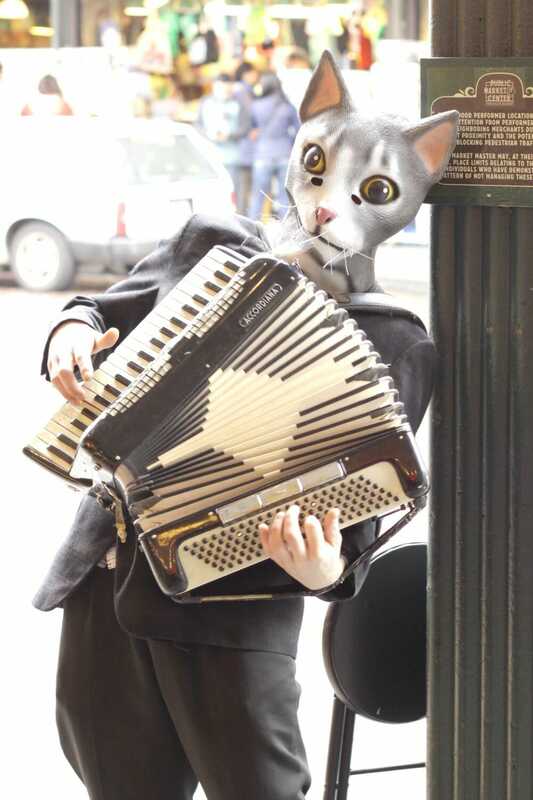 Street performers abound around the market, and I had to take a photo of this cat playing an accordion… I mean, when will I ever see this in my life again? 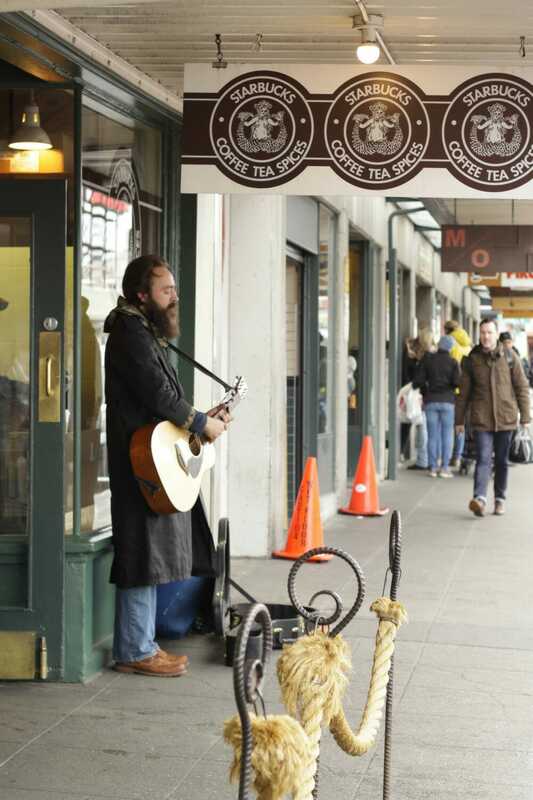 I think it’s almost safe to say that everyone knows Seattle is home to Starbucks Coffee, right? 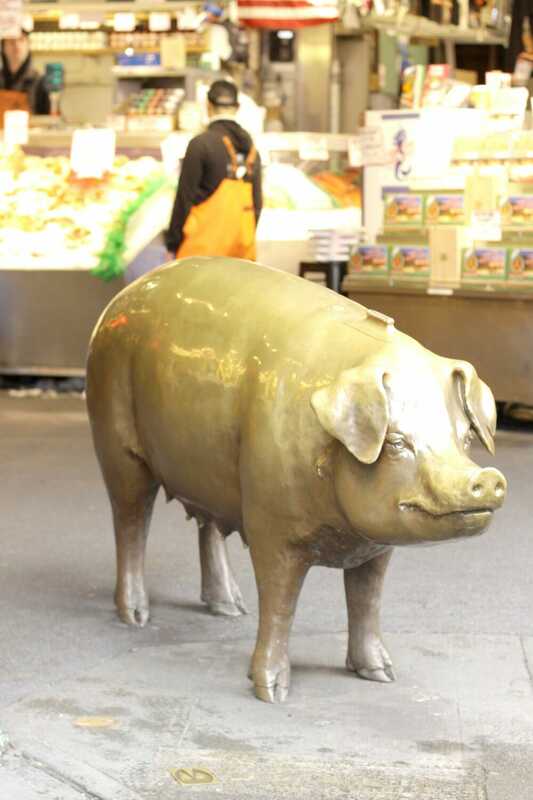 The original is located at Pike Place, and naturally we had to stop. I am personally not a Starbucks coffee fan (I am a Dunkin Donuts girl! 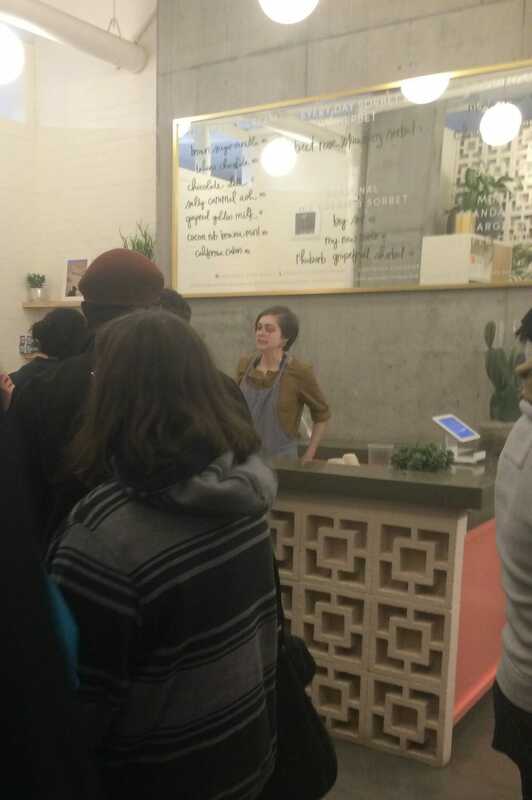 ), but Chris waited in line about 20 minutes just to get a mocha. Meanwhile, I waited outside and snapped this photo, and I also took photos for tourist families so that they could all be in their photo. Yes, I am one of those people who will just intervene and ask if people want me to take their photo with their camera. 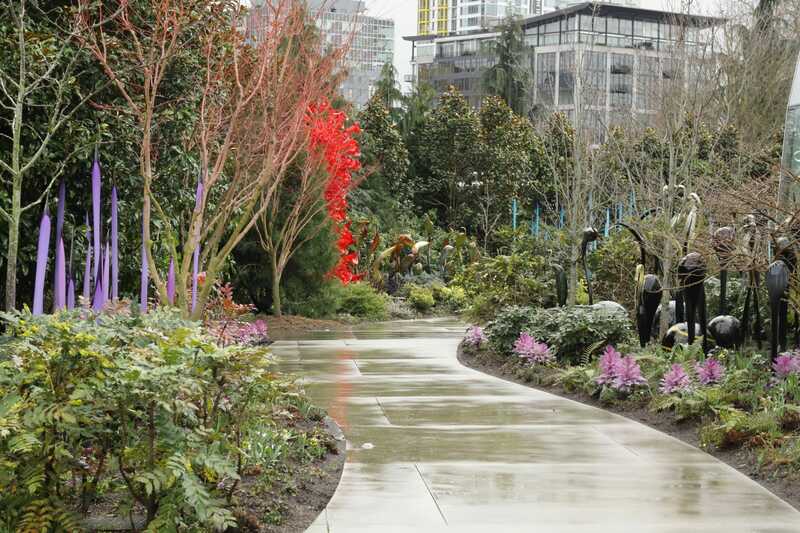 Chihuly Garden & Glass was recommended by a friend, and it did not disappoint! This spot ended up being my absolute favorite of our trip. 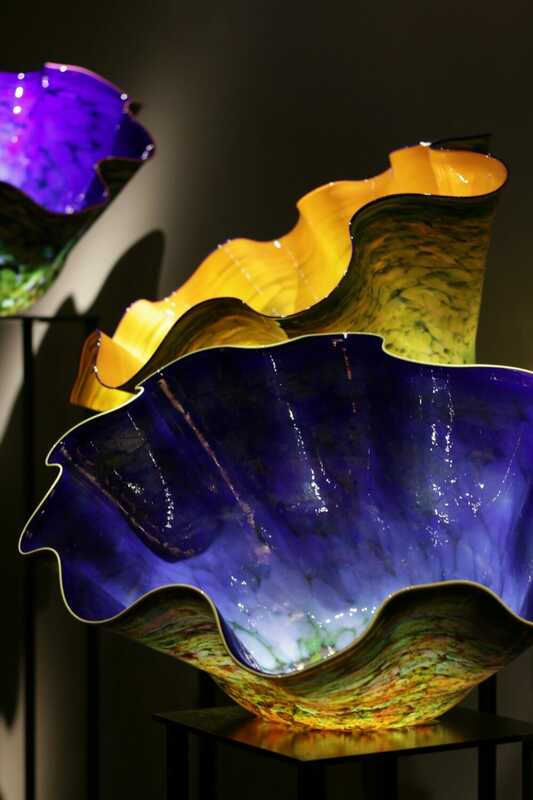 This center is an exhibition by Washington native Dale Chihuly, who is a glass blowing mastermind. His work is incredibly unique and breathtaking, and I did my best to capture it in photos for you. If you ever head to Seattle, put it at the top of your list. 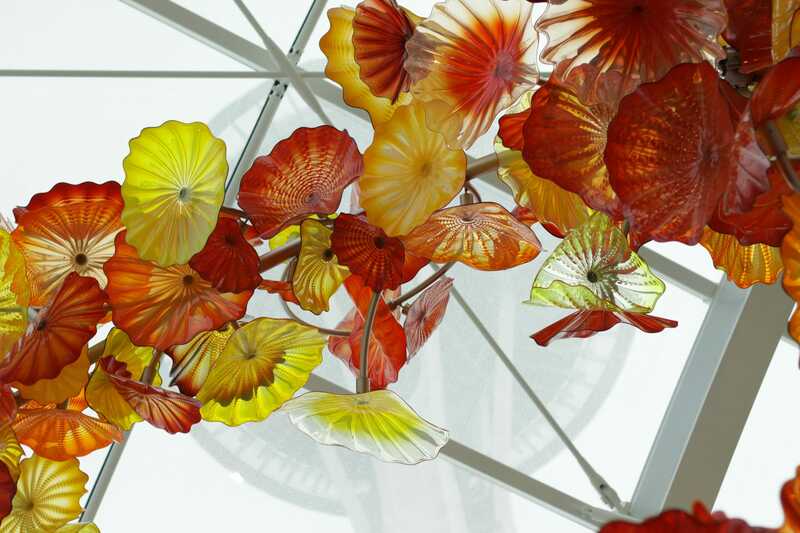 In a glass enclosure, you can walk directly under these beautiful glass flowers. 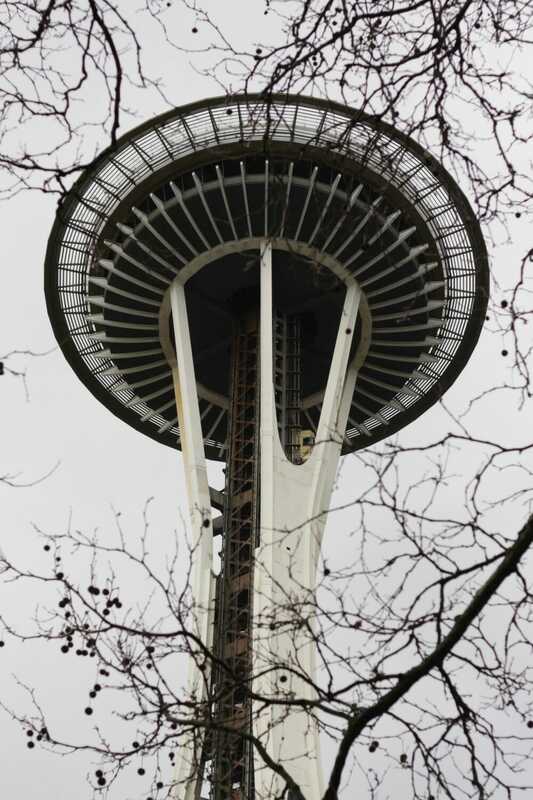 Looking up, you can see the space needle. 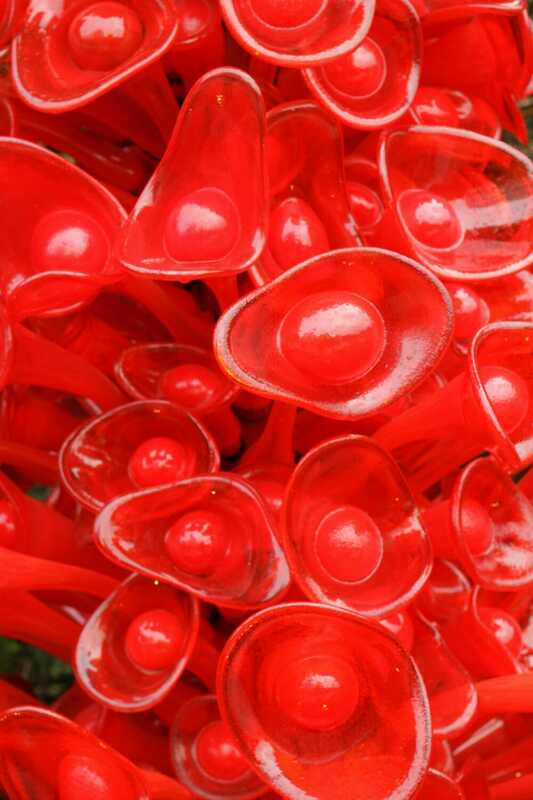 Outside in the garden, glass sculptures abound in vibrant, breahtaking color. 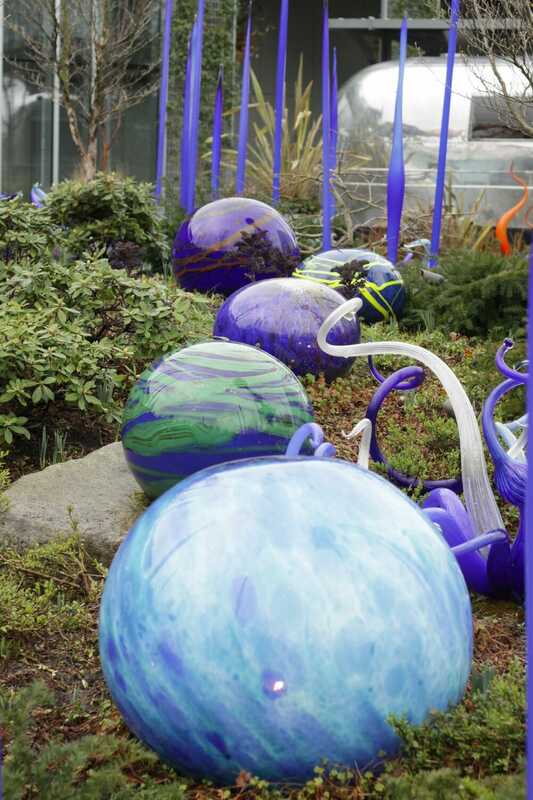 These orbs in blue caught my eye, and I loved the way they formed a path and invited you to follow with your gaze. These red pieces are visible in the photo that shows the sidewalk. I am not much of a red lover, but they truly were magical. 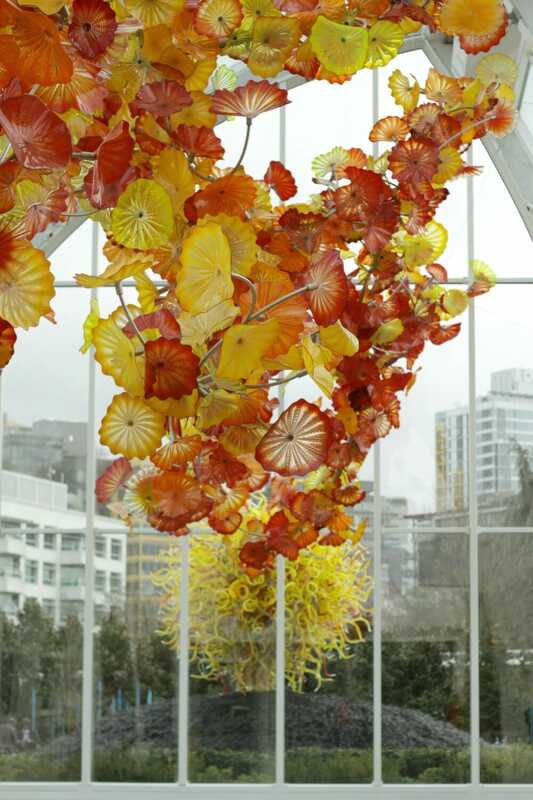 Inside the building was filled with sculptures from Chihuly’s lifetime of work. This one features several sea creatures in gold among the bottom pieces. 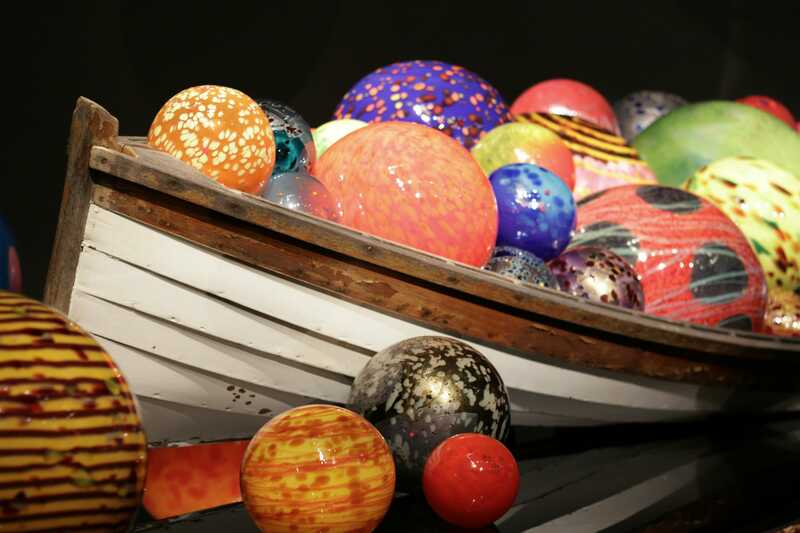 This canoe full of glass floats was a perfect juxtaposition of smooth and vibrant glass against worn and weathered wood. This sculpture, along with a few others, was suspended from the ceiling. I can’t imagine the time it takes to create each of these pieces, and then to display them properly. 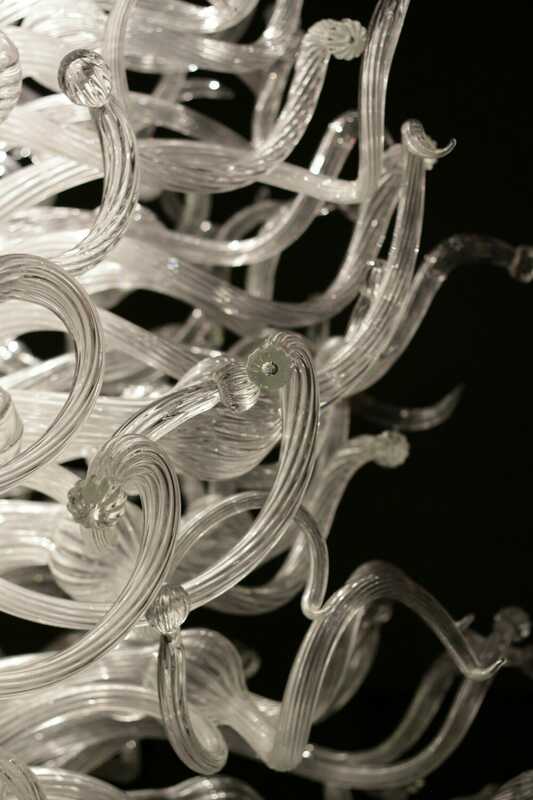 I love the way this photo of clear glass turned out and has a look of black and white, even though it’s taken in color. One room was filled with gorgeous flowers in an array of colors. 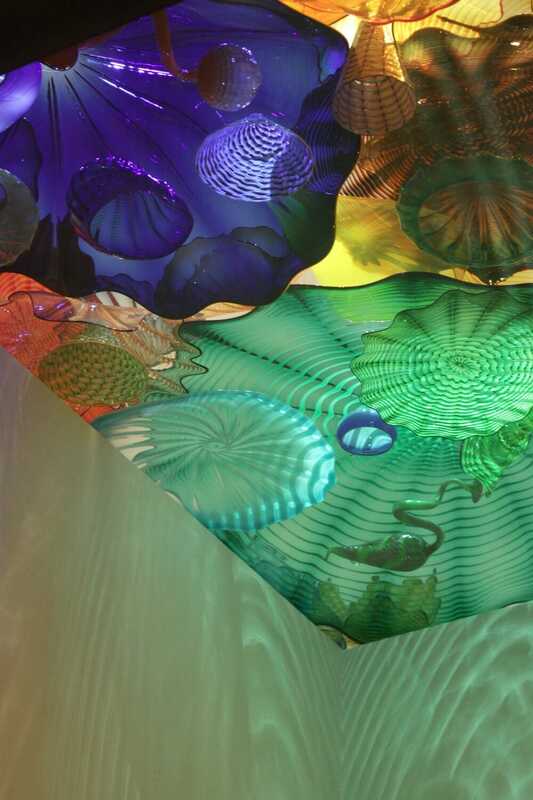 One of the most incredible experiences at the Chihuly Garden and Glass was walking into a room where the ceiling was clear with loads of glass sculpture resting on it. Looking up, this was the view. The light coming through the glass caused a beautiful colorful effect on the wall as a rainbow cascaded down. 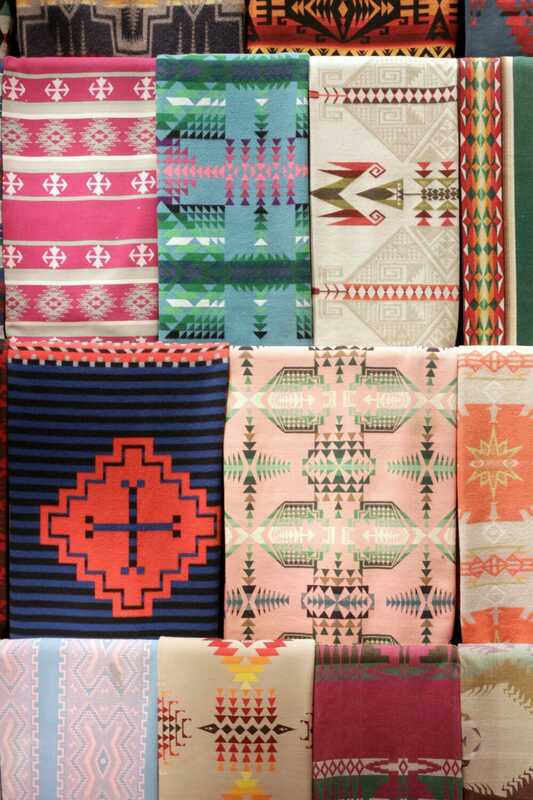 Chihuly collaborated with Pendleton on several blankets and they were also on display. This is just a small sample from a huge wall full. The whole place was a feast for the eyes… so much beauty, talent, and creativity to admire. 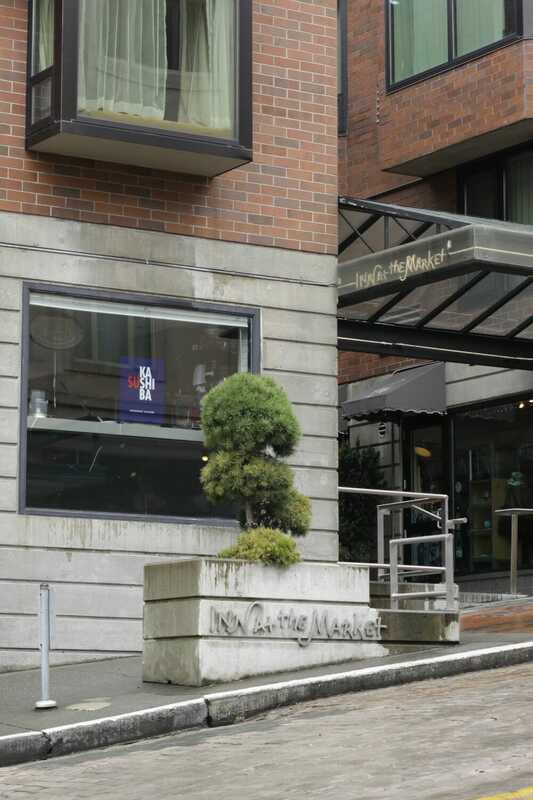 The Museum of Pop Culture was just a small walk away from Chihuly, so we headed there next. This museum was one of Chris’ favorites and featured Jimi Hendrix and Nirvana exhibits as well as an Indie gaming exhibit where you could try several different video games. It was basically perfect for the adult male in my life. 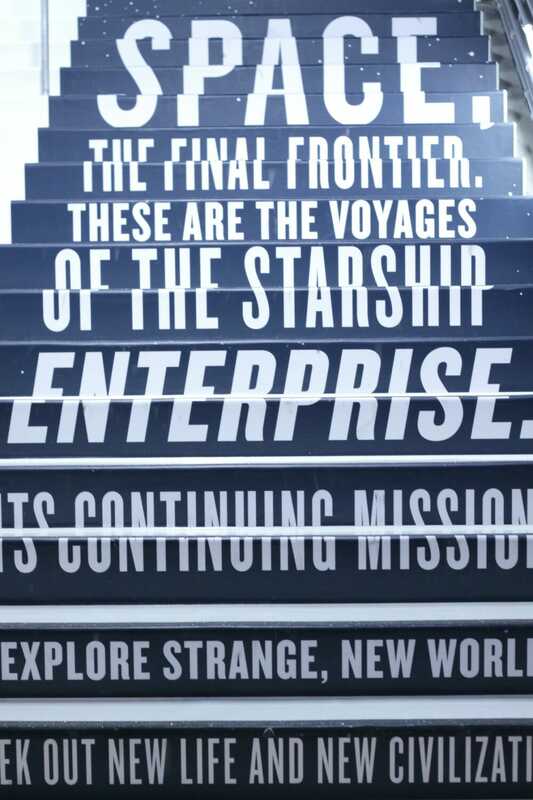 Currently there is a fantastic Star Trek exhibit which you have to pay extra for… we did as Chris really wanted to see it. It was worth the extra $5 as it had so many of the props and costumes from the movies and shows over several decades, and also explained some of the history and backstory of how the show came to be created. Fantasy was also a current exhibit, and one of my favorite parts of this museum. 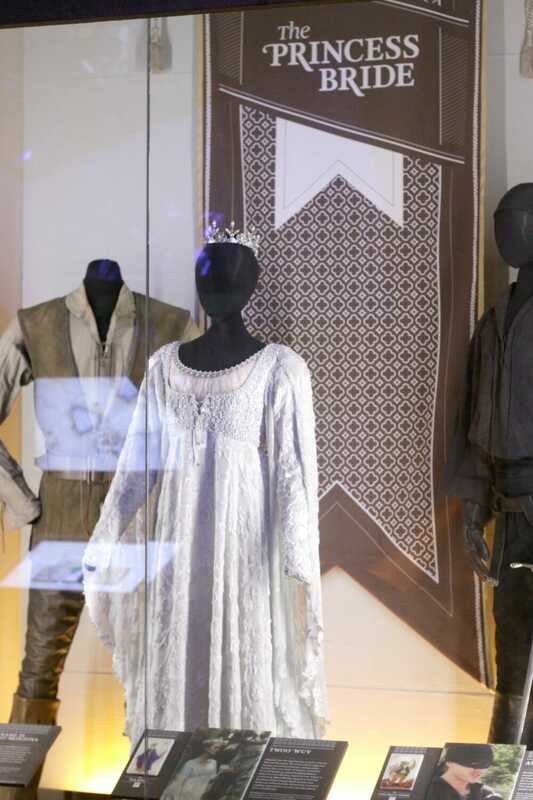 Props and costumes from several favorite movies filled a couple of rooms. 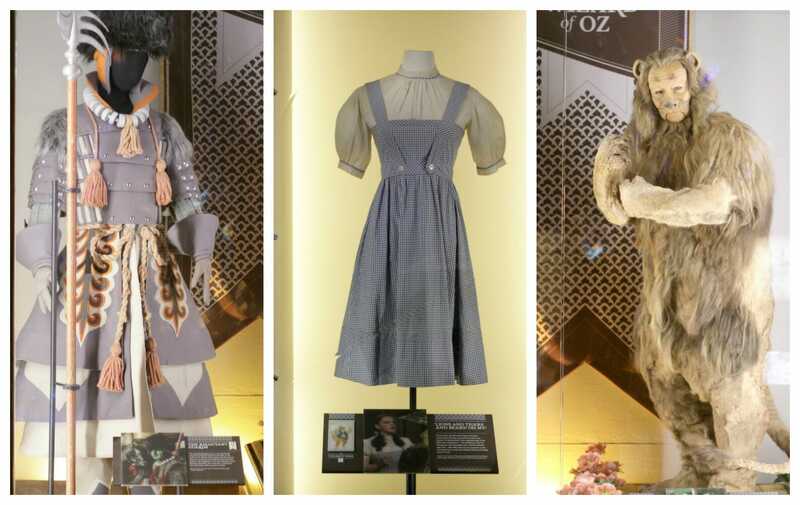 I am sure you recognize these pieces from The Wizard of Oz. One of our family’s favorite movies is The Princess Bride, so I was anxious to get home to show the kids what we’d seen. 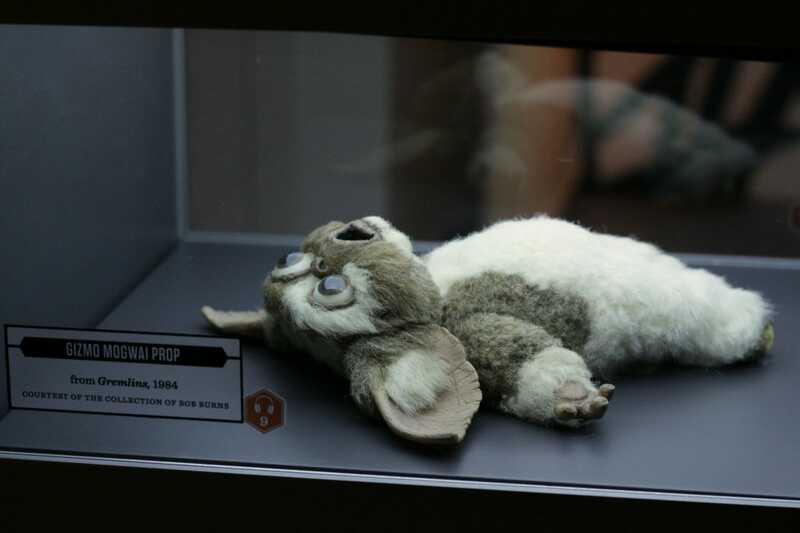 Another relic from the movies, Gizmo, was featured in this area. Our family loves Gremlins, so I took this photo for the kids as well. This exhibit also had pieces from Alien, Ghostbusters, Michael Jackson’s Thriller video, and so much more. 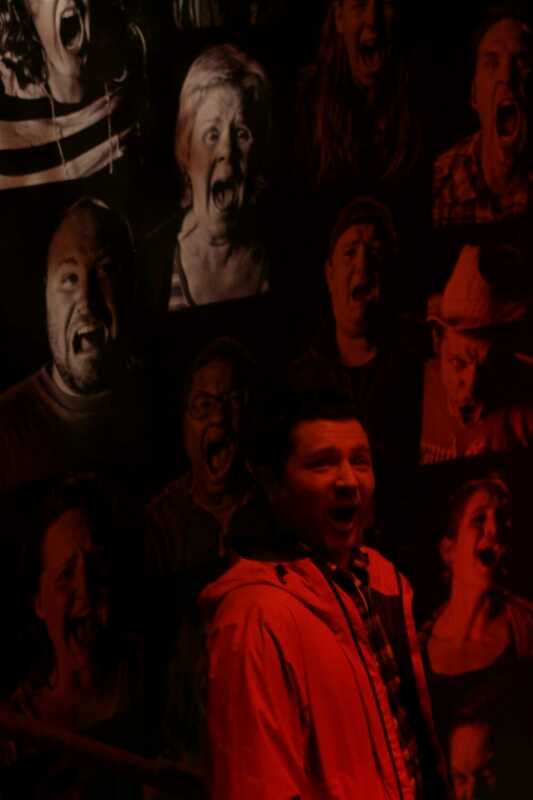 One wall featured a timeline of horror movies, and I wish I had taken a photo of that because there were several movies I still need to see. 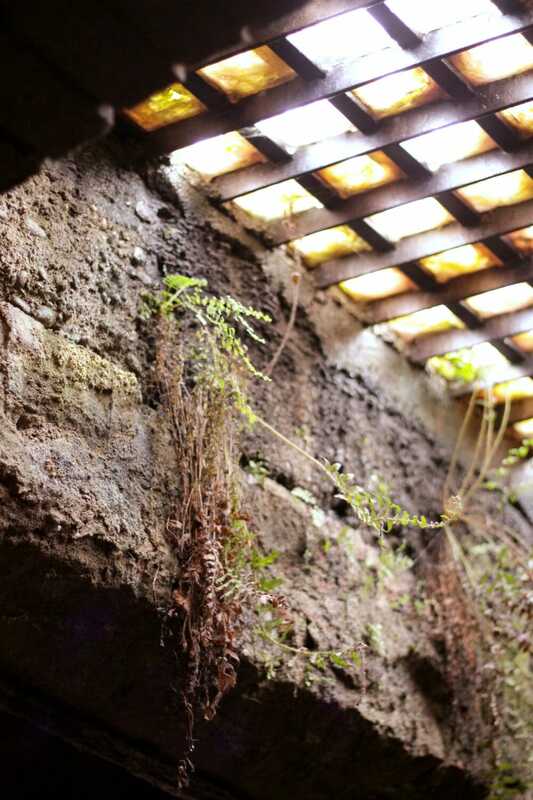 On Saturday we headed to another part of downtown Seattle, and took Bill Speidel’s Underground Seattle Tour. The tour itself was rather small as you venture under 3 different buildings and their adjacent sidewalk systems. However, with this tour, it’s the tour guide and the history that make it incredible. Our guide, Dean, was full of personality and had us laughing the entire time. We also learned so much about the history of Seattle and its origins, and why there is an underground Seattle. It’s truly a unique story and Chris and I were both glad we took the tour and came away knowing much more. I wasn’t able to get many photos on this tour, as it’s not very spacious, and it’s dark, but this photo is looking up from underneath a sidewalk. Those pieces of glass are visible as one walks over them on the sidewalk. The incredible thing is that when people walk by above, if you shout and scream from underneath, they can’t hear you at all. The Fremont Flea market was one of the last sights we saw. I was lucky enough to meet up with my friend Katja Sunday morning at the flea market. The flea market itself was rather small, but I did find a very cool old black and white photograph for $2 I hope to frame, and some bath bombs for Emmy. We didn’t spend too much time there, but then headed to the neighboring street shops. We absolutely loved Peace Love and Happiness Club which featured plants, crystals, and gorgeous clothing and accessories… Katja and I both loved the shop concept. Next door was the Fremont Vintage Mall which was a fantastic vintage shop which is bigger than it first appears. If I lived locally, I think I would find a lot of my home furnishings there. I did end up taking home a great vintage needlepoint of “My Room” for Emmy. Some other places to note that we enjoyed as we shopped around the city… I adored the Pendleton store and sat in the most comfortable chair ever there. I wanted to take it home! I can’t seem to find a photo of it anywhere, but it was dreamy. We also stopped by the Seattle Sounders official store and picked up a soccer jersey for Sawyer, who wore it to school on the first possible day. Oh, and one of my favorite places that made me wish the kids were with us was Full Tilt Ice Cream which was a pinball and ice cream shop. Chris and I had ice cream (they had vegan available as well which I had- delish! ), and used all of our ones and quarters to play several rounds of pinball. 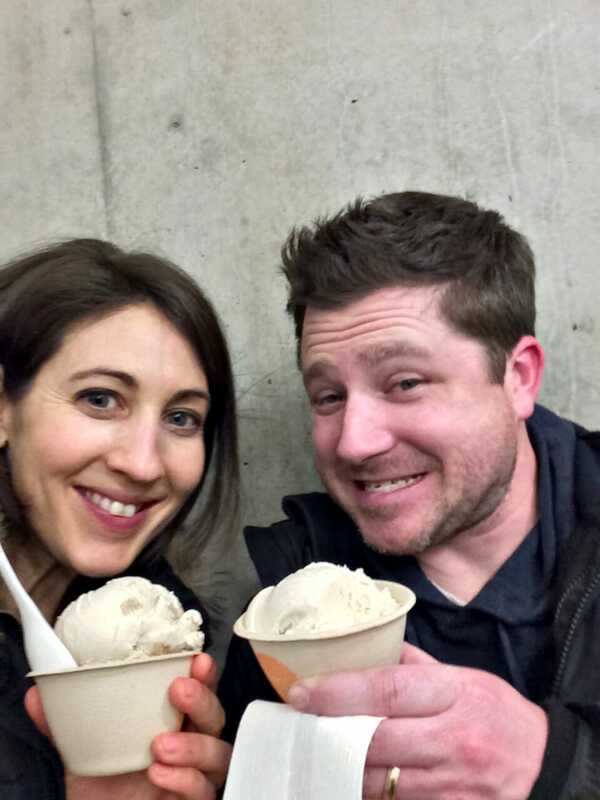 Sawyer would have loved the games, and Emmy the ice cream… it was the perfect union of our kids’ favorite things! 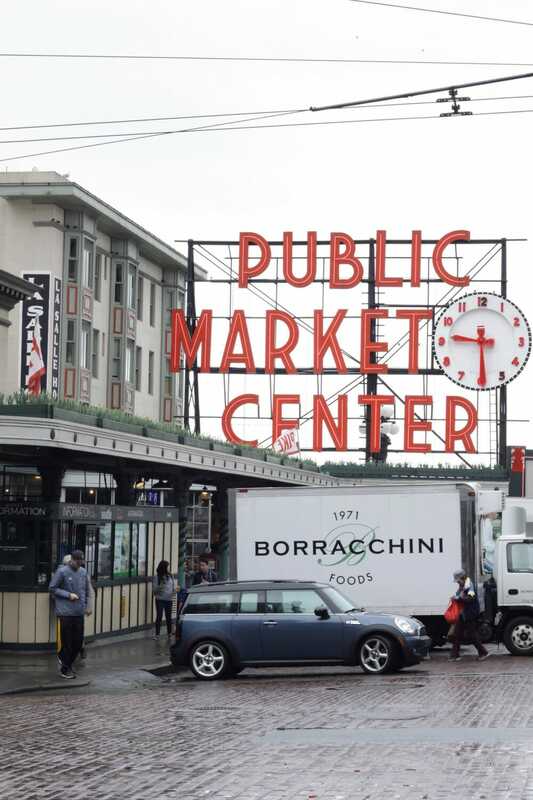 …because let’s be honest; this tour of seattle can also be called, “How I ate my way across Seattle.” There is so much to talk about here, so I am just going to go in order of all our meals. Thursday when we arrived and checked into the hotel, we then headed out for a late dinner at Sushi Kashiba which Chris had read about. We were fortunate enough to nab a seat at the sushi bar, which was great for our bellies, but not so great for our wallets. The sushi chef was humorous and full of personality. And sitting right there, he just kept dropping pieces onto our plates. I finally said to Chris, “I am scared to see the bill… we need to stop!” He wasn’t quite ready though, so I stopped and he kept going. And when the bill finally came we laughed and I told him that our entire meal budget was now blown! However, I have no regrets, because the food was fresh, delicious, and creative. And I am a better person for eating it. Maybe not, but I enjoyed it immensely and was grateful for pants with stretch. Friday morning we awoke still on Eastern time, so by the time it was socially acceptable to have breakfast, we were starving. We didn’t bother heading out and ate at Tulio, an Italian restaurant in our hotel. To be honest, breakfast there was OK, overpriced and our waiter was a bit pretentious, but we were so hungry we just didn’t care. The night before we had a glass of wine at the bar at Tulio, and it’s a lovely restaurant and smelled wonderful for dinner; the bartender had been very friendly. Friday after we walked around Pike Place for a while we decided we’d have to have lunch at one of the little local places there. It was a cold and rainy day (as it was almost every day, but I still LOVED it all! 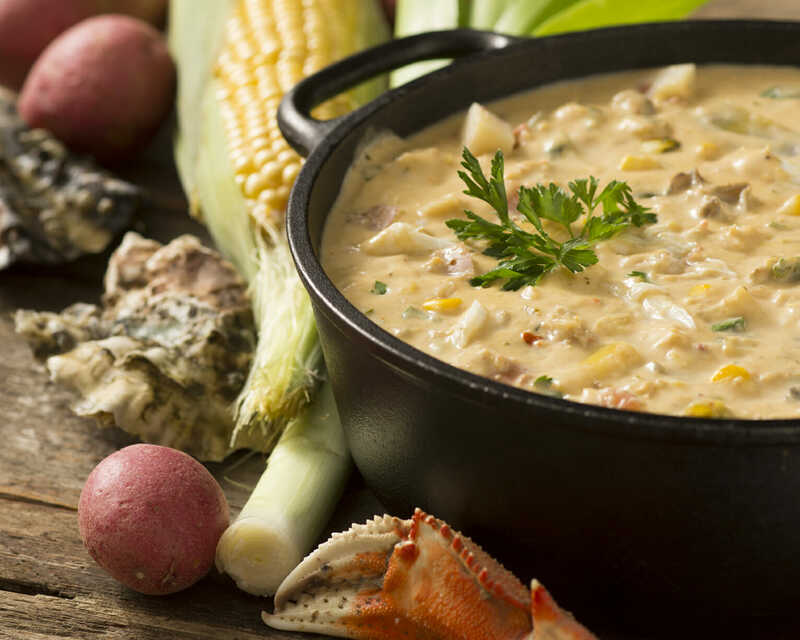 ), and a perfect climate for Pike Place Chowder. Chris had a crab & oyster chowder and I tried the vegan lime and coconut. Both were absolutely warm and delicious and smelled as scrumptious as they tasted. Chris also had a half lobster roll which he loved. From there we walked over to Beecher’s Handmade Cheese, which you can watch being made in the window… I found it rather fascinating. When we had walked around that morning, Chris had spied their mac & cheese and had to have it. I tried a bite as well, and I think it was the richest, creamiest, most fresh and flavorful mac & cheese I’ve ever had in my entire life. 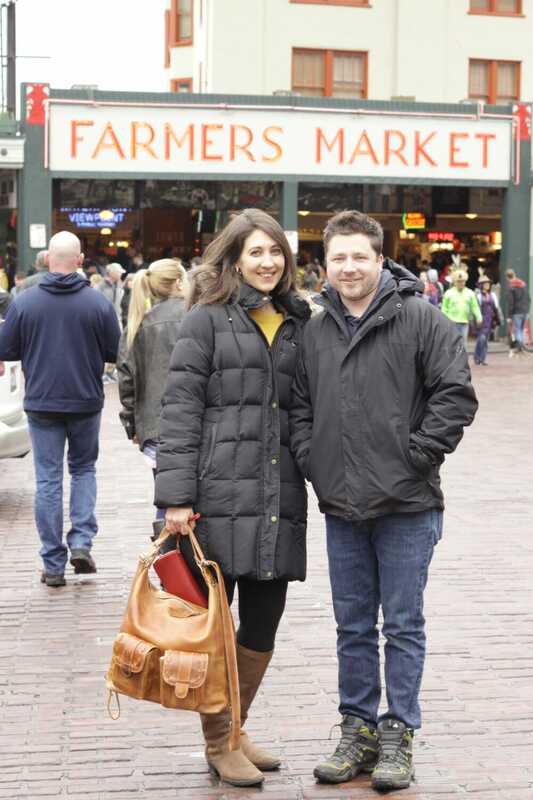 Both Pike Place Chowder and Beecher’s go on my “must eats” list for Seattle. Friday night we ventured to a different neighborhood, Ballard, which is a trendy area with tons of great restaurants. I had read about Porkchop & Co and made us a reservation prior to our trip. After the hustle and bustle of a busy day and more crowded lunch dives, it was nice to have a quieter more intimate dinner at Porchop. The food was fantastic (brussels sprouts so perfectly done!) and our waiter was friendly, knowledgeable, and polite. This went down as my favorite meal in part due to atmosphere and in part due to food. On Saturday morning we decided to try one of the bakeries we had spied in Pike Place. We walked that way, and decided upon a french cafe, Le Panier. Chris had a plain croissant as well as a tomato basil filled pastry which he said was divine. I am more of a sweet pastry girl (I really should be a NO pastry girl, but YOLO) so I had a cinnamon roll which was made with flaky croissant type bread. If was sprinkled with cinnamon and sugar as well and it was magnificent. I was a complete mess of sugar when I was done, but it was well worth the embarrassment. After the underground tour Saturday we headed back to the hotel to google and find a great place for lunch. We were in the mood for Asian flavors so decided upon Wild Ginger which was within walking distance. This place was huge and had a vast menu as well as great ratings. The food was plentiful and delicious, but our waiter was lacking in personality and seemed to be very distracted… so I don’t think it would be a place I would go back to. It felt a little like an upscale Asian cheesecake factory. I prefer the smaller restaurants…. however if you have a big group and are trying to seat and please many it’s a great option. Saturday’s dinner was one of Chris’ favorite meals. 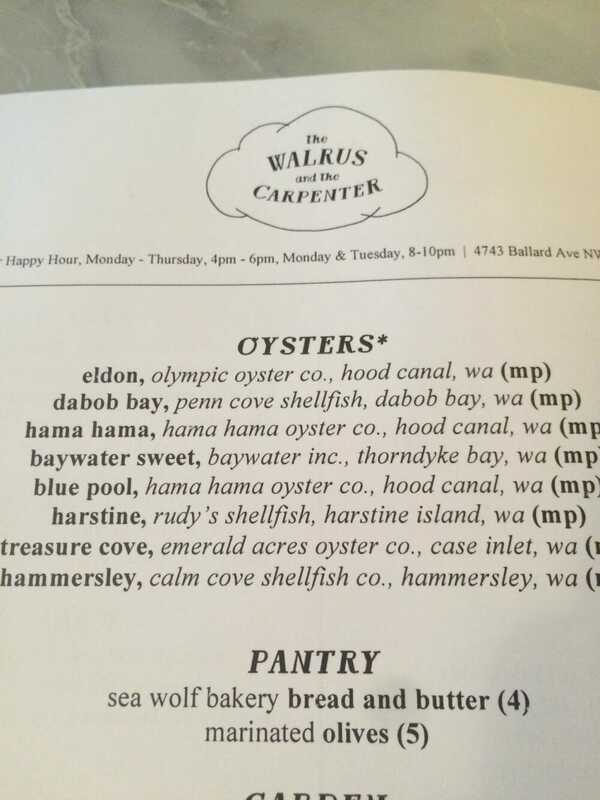 I had read about The Walrus & The Carpenter online and knew he would love it; it’s a loud and booming popular oyster bar. I have never been much of an oyster fan, but I tried again… I still don’t like them. So I ate one of the 18 Chris ordered, and then ordered some sides for myself instead! Even though I didn’t love the oysters, everything else on the menu was delicious and the place was happening. We loved the grilled raddichio, charred leeks, and the prawn crudo. We also ate some of the sea wolf bakery bread, and that was warm crusty, and gooey in the best way. I also want to send a little shout out to the little bar/restaurant next door, Barnacle. We had drinks while we waited for our table at The Walrus & The Carpenter (they are super hopping and don’t take reservations or call ahead, FYI). The bartender was awesome, and they played the best music of any of the restaurants we went to… think early 90’s rock… R.E.M. , INXS, Muse, etc. After dinner we headed down the street to D’Ambrosia Gelato, because I mean, it was vacation and we walked an awful lot. Chris was full of oysters, but I indulged in a cup of pistachio and coconut and I have no regrets. It was a perfect cool and flavorful combination. Sunday was our last full day there, and I was already feeling sad that it was coming to an end, but ready to really soak in that last day. We began the day at a breakfast place Chris had read about, The Wandering Goose, which is known for their incredible biscuits.. Chris indulged in a fried chicken biscuit complete with fried pickles, tomato, lettuce, remoulade, and perhaps bacon. He was in heaven! I had a veggie hash with poached eggs on top, and I was in heaven as well. This girl loves her veggies and eggs! The Wandering Goose is tiny, and busy, but worth the wait! Oh, I also had a cup of coffee, and it was definitely press coffee, which you don’t often find in a restaurant. It was the best cup of coffee I had all weekend. 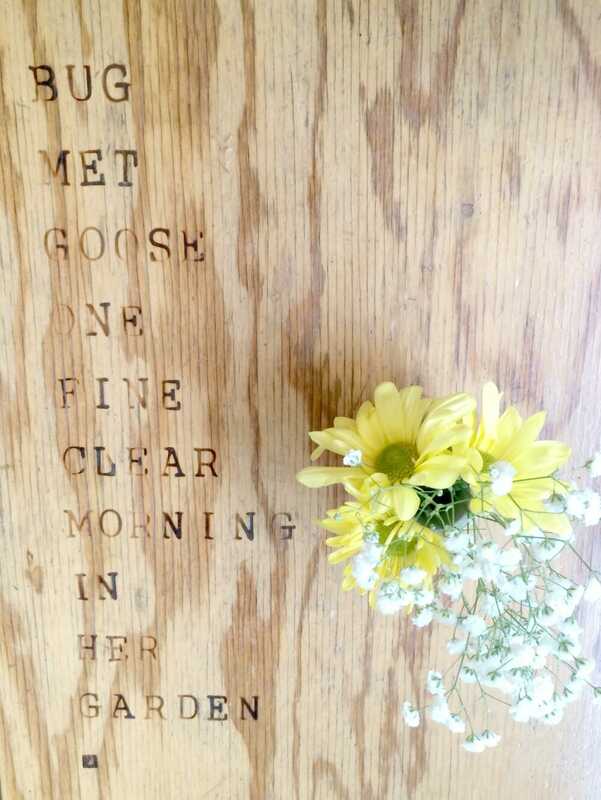 Each of the tables at The Wandering Goose features a wood burned graphic, adding to the charm. After that we headed up to the flea market, but we had a lot of walking to do before we burned off that breakfast and headed for lunch. At that point, Katja had joined us, and then her husband Frank came along as well. We loved walking and talking with them as we built up our appetite for lunch. After walking around and hemming and hawing, we decided upon Lowell’s which is a restaurant inside Pike Place market and is one of those “must eat” tourist places. We sat upstairs with a view of the water, and enjoyed great company with our food. Chris had fish and chips, and I had fish tacos. The food was good, but the atmosphere and company really made it for me! After lunch I started to feel a bit feverish as I was coming down with a cold that Sawyer had passed on to me. We went back to the hotel and napped, read, and relaxed, and it was just what I needed. I was ready to go by the time dinner rolled around. Earlier that morning, I’d made us a reservation at Shaker & Spear. It’s a nicer, quiet, intimate restaurant, and just what I wanted for our last night there. We were able to sit, and take our time, enjoying our meal. I ordered the Chestnut dusted scallops which came with squash and brussels sprouts, so it was like 3 of my favorites in one dish, and it was utterly divine. My plate was clean! Chris ordered the rockfish and rock shrimp with squid ink gnocchi, and he allowed me to try one of the gnocchi… they were like little bites of heaven, even if it was dark inky heaven. Our waitress was absolutely amazing here, too… she was friendly and approachable and highly attentive. 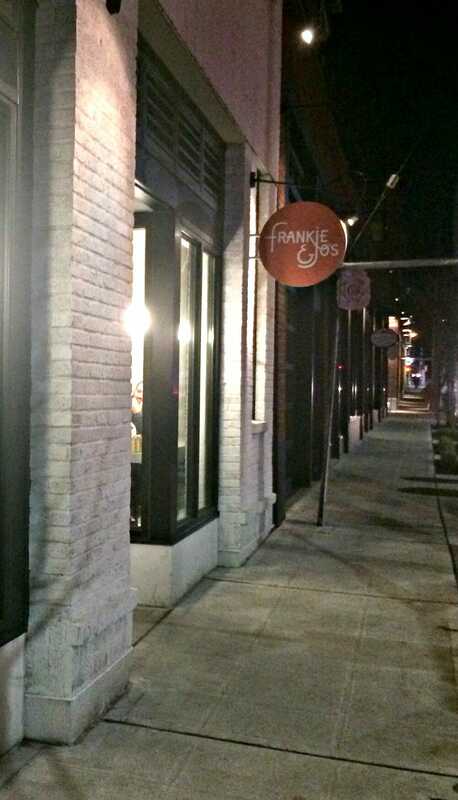 After dinner we took an uber to the university area of town because we HAD to try Frankie & Jo‘s vegan ice cream shop. Emmy and I had seen it featured on Design Sponge a few days before our trip, and I told her I would check it out for us. I mean, if I have to take one for the team, I will. The place was hopping, and they said it was like that before the DS feature (I asked). They had several interestingly enticing flavors, so I knew when I got to the front I’d have to try before deciding. I only regret not trying the gingered golden milk…. We both tried the California Cabin and were sold. Chris had a scoop of that, and I had a scoop of brown sugar vanilla and a scoop of California Cabin (I have no shame when it comes to ice cream), which is described on their site as such: Apple-wood Smoked Vanilla & Fir Needle with Black pepper Cardamom Shortbread – inspired by the snowy back woods of the Sierra’s. It was amazing- the chunks of shortbread cookie were perfection. This iphone photo does not to the ice cream justice. 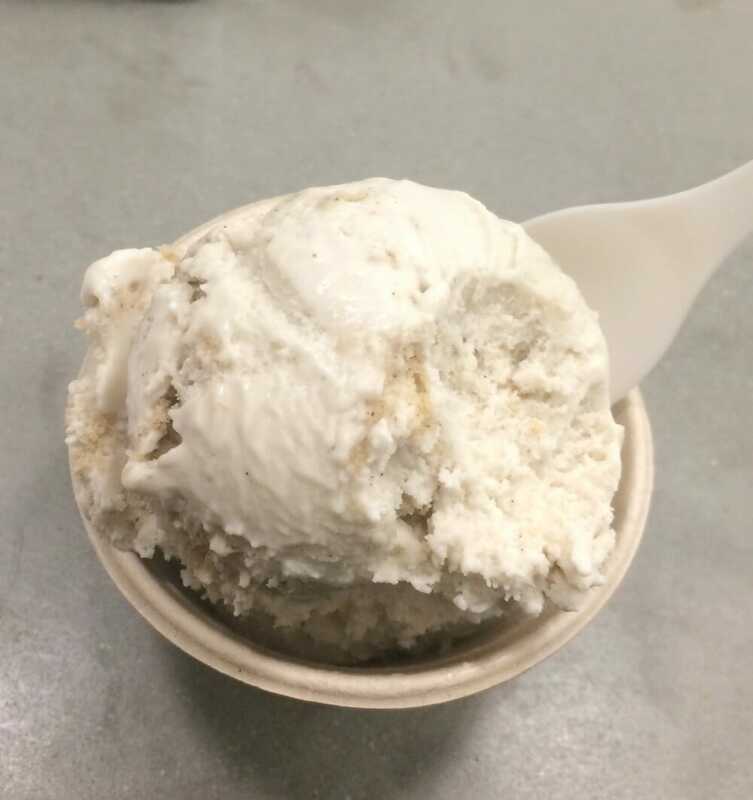 The good news is that Frankie & Jo’s offers delivery… so yes, Emmy, we will be ordering some of their ice cream for you to try. And me to devour. Well, that was certainly a long post, but I wanted to make sure I told you about everything we did. I loved every square foot of Seattle. I’ve always considered myself more of a small town country girl, but after this trip, I know I could be a city girl if my city was Seattle. I just need a job there…. minor details. If you have a chance to explore that part of the country, I highly recommend it. The best part is there is still so much to see that we didn’t get to do… like all the outdoorsy mountain and hiking activities we’d love. So Seattle, we’ll be back. We’ve got unfinished business. ya’ll are so cute. what a great recap. I have been to seattle once, my hubby lots and he loves it too. Glad you had a great time. it was an incredible city! Yes! DD for life!!! What an awesome trip. 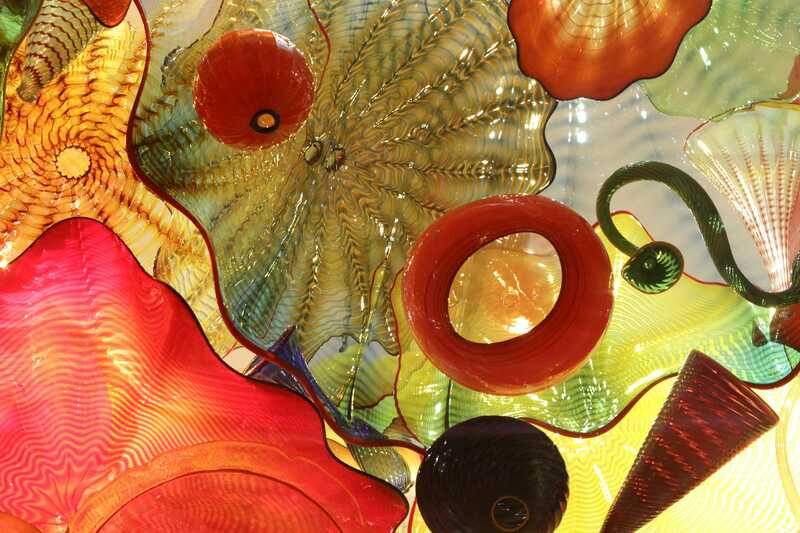 No wonder your favorite was the glass art exhibit. That would have been mine as well. So incredibly impressive! DD is the best!!!! and the entire thing was just awesome. i am ready to pack my house up and move. it really was- i want to go back already! So glad you had a great time in Seattle. I lived there for four years many moons ago and now live just an hour away. We love visiting several times a year. oh you are so lucky! it is such a great city- i only wish we’d had time to do some of the more outdoorsy things outside of the city! Gah! Loved reading about your trip! Ryan and I went to Seattle about 5 years ago and I can’t wait to go back! One of my favorites! i am ready to pack my bags and move! I’m so glad you two were able to make this trip! It looks marvelous, I definitely want to visit some day! 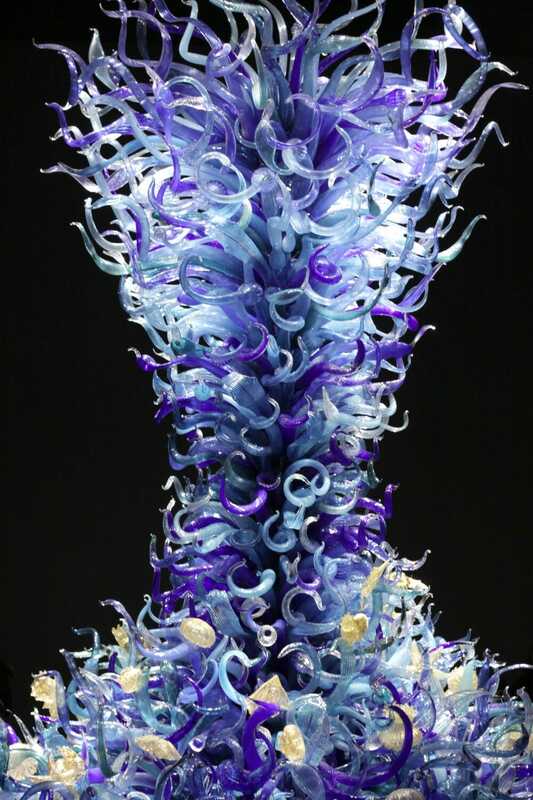 We have some Chihuly pieces around OKC and it’s just gorgeous! his work is just amazing! i hope you get to go one day! Looks like so much fun! I’ve never been to Seattle–definitely on my list :). 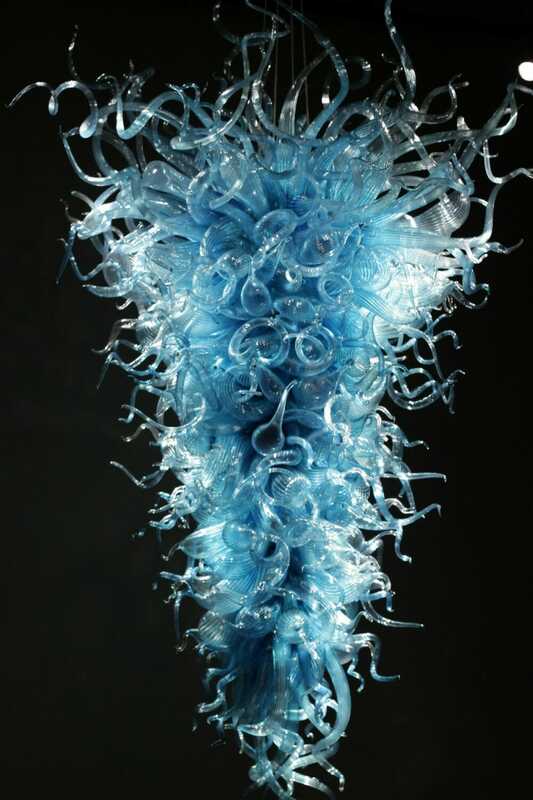 The botanical garden in Atlanta has a Chihuly exhibit periodically, and I’ve never made it there–must change that! you need to go- there is so much for the kids to see and do there, too! Anyway, Thank you again. I sure want to go visit Seattle now. oh thank you so much!!! i loved visiting and taking photos there… it was just awesome!!! i truly hope you get to visit one day! OH MY GOSH CASSIE – this post was pure torture. I was already envious about the gorgeous places you visited and all heart eyes for the Chihuly museum, but when you started describing the food… That’s it! I’m booking plane tickets to Seattle right now! ? you have to go- it was amazing! Come back when the sun shines, you will love it even more. oh i totally would love to!!!! i heard a lot about the tulips!